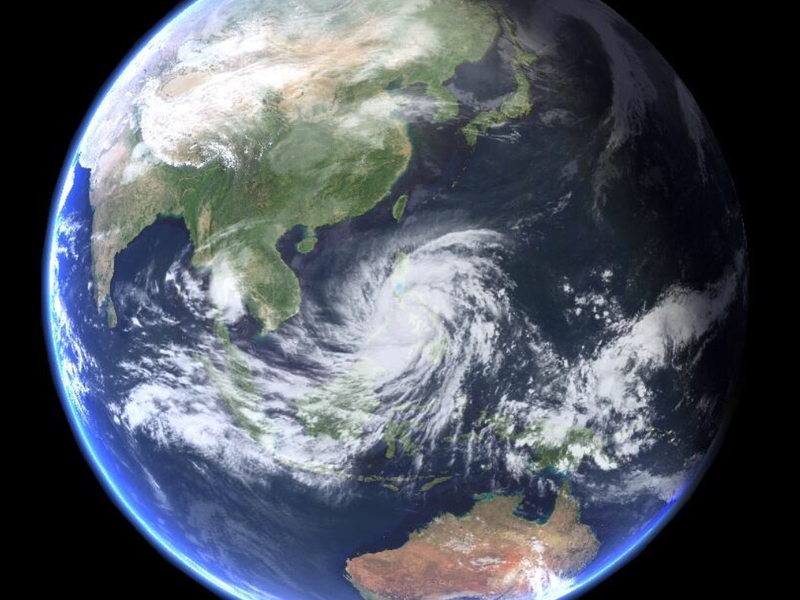 The Philippines, my home, was ravaged yesterday by the worst typhoon (hurricane) to ever make landfall. Ever. It was an significant event in history. It’s also a significant event Biblically. My house was not damaged by the storm – we live in Manila which was out of the direct path. But I have seen, heard, and felt the impact to the Philippines. I have experienced the chaos that the storm caused. In a similar way, you did too. You saw the news reports, the satellite images, the Twitter trends. We are all aware of the impact of storms like this. There have been other recent weather related events, in the Philippines and elsewhere, that have caused the world to pay attention. Hurricane Katrina, the earthquake in Haiti, Hurricane Sandy, the tsunami in Japan, the recent earthquake in the Philippines, and now Typhoon Haiyan. And that’s not all of the major events recently, just a handpicked few. So what is the biblical meaning? Is there a reason that events like this are taking place? Very clearly then, God is the one who controls the “natural disasters” on earth. And He uses these weather patterns and natural disasters to make his presence known. God communicates through His creation. As believers, we must not view weather as just a “natural occurrence”. This is a very Deistic, unbiblical view of God, that assumes He is not actively involved in the world today. We must view significant weather and related events as God making His presence known. So what is God saying? In the verses above, we see that God says many different things through “natural” means, but certainly it is always to remind us of Who He is. The point of the earthquakes and storms in the verses above is to make people aware of God. Why should the same not be true today? I believe that through these recent global events, God is reminding humanity of Who He is and what He is planning. There is no phrase that describes the calamity of the tsunamis, hurricanes, typhoons, and earthquakes better than “distress of nations”. You have seen it for yourself in the wailing mothers, the broken spirits, and the crippled and injured on TV. These nations are distressed. As an American, I remember the videos of people stranded on their roofs after Katrina. I remember the FEMA follow up disasters and everything related. Distress. And speaking specifically of hurricanes/typhoons and tsunamis, “sea and waves roaring” is a pretty accurate depiction I believe. Are we paying attention? God is speaking to us. The things that Jesus predicted are happening. These are not merely isolated “natural events”. God is speaking. These, my friends, are exciting times to be alive. Is your church balanced in these two areas? This is an excerpt from a book manuscript I am currently working on. The book is about how we have redefined church in the last few decades, in some ways to its detriment. This passage deals with the topic of evangelism and discipleship coexisting in a ministry. It can be done, should be done, but there must be balance. There are numerous opinions on this topic. This is mine. There must be a balance between evangelism and discipleship. Sometimes, maybe oftentimes, these two can be experienced simultaneously. For example, it is certainly possible for a witnessing opportunity to act as a discipleship lesson, as the discipler models for the disciple how to share their faith effectively. There are certainly other examples.But sometimes these two are mutually exclusive by nature. In a church, evangelism and discipleship should each be consistently done, yet not so exclusively as to the detriment of the other. There should be balance. There must be balance in our content. I believe that every sermon should carry the gospel in some form – because the gospel permeates everything we believe. But I don’t believe that every sermon or Bible study can have as its lone subject the gospel. This is what Paul meant when he wrote that we should move on from the basic teachings about salvation and on to deeper things . This is discipleship. If every sermon is focused only on the basic facts of salvation, it would be to the detriment of the believer’s discipleship. On the other hand, if every message from the church is about deeper Christian life and truth, it would be to the detriment of the lost who are present. There should be a balance in content. There must be balance in our chronology. Balance must be present on a weekly basis as well as a seasonal or yearly basis. This is why homiletics is so important in the life of a pastor or pastoral team. A pastor must understand first how to prepare each individual sermon with this balance in place – so that the Christians are fed and the lost are convicted. Sometimes the message will speak to one group more heavily than the other, but both should receive something from that week. Likewise, planning out the sermons for the season or even the year is also a crucial task. True, it helps the pastor and other ministries (media, drama, small groups) prepare in advance for the coming week’s topics. But there is a more important reason to plan out sermons or series well in advance. Doing so will ensure that the church strikes a healthy balance between evangelism and discipleship on a monthly, seasonal, or yearly basis. And by doing this, the church leadership can be sure that they are maintaining the church’s focus on the lost while also building that focus on the foundation of growing Christians. Failure to build this balanced foundation ministry-wide results in a church that is all but ready to crumble. Is your ministry a balanced one? How do you maintain balance? Being an introvert is not always the easiest thing. Sometimes our actions or motives are misunderstood, and as a result relationships can be damaged. Being in ministry as an introvert is even more fun, because we are supposed to minister to <gasp> people! What?! Wait just a minute – no one said anything specifically about me having to talk to other people…. Fear not. Being an introvert in ministry – even an extroverted-centric ministry – is not impossible. In fact, it’s highly manageable. I started this series by writing here about contributions that introverts make to ministry. I want to continue by giving a few things that I find helpful in my own life as an introvert. Yup. If an early riser you are not, read em and weep. The early morning hours guarantee that almost no one else in the house is up – spouse, kids, dog – all still asleep. For an introvert, these are golden hours to be alone, have your thoughts, and spend time with God. I find that my day is much more productive when I’m up before the sun. This is not an option for you. And if you don’t schedule it, it won’t happen. You need a specific time each day (see #1) and also each week to just be alone and recharge. The time and location will be different for everyone, but make sure you decide on something. I usually retreat to my office when ever I need a recharge. This age-old custom has been much written about lately, for good reasons. A nap can recharge you and give you a second wind. For an introvert, I find that it really is the ultimate alone time. I mean, really, who is going to wake you up from your nap? No one! This is a must. If you don’t do anything else do this one. If you know you are introverted, make sure your wife knows this too. That’s the first level. Then, you and your wife need to talk about your needs in relation to your duties. My wife expects me (rightfully so) to be engaged with her and our boys when my work day is done (that’s a little joke for those of you in full time ministry). She also understands that as an introvert, I may need some quiet time before that happens. So, she knows exactly what I mean when I say “I’ll be in in just a minute”. If you lead a ministry team with daily interaction, they need to understand this part of you too. Otherwise, it looks to them like you are just vanishing a lot. If you communicate, they will understand and probably even try to help you – their fearless leader. Introversion is not an excuse to avoid people. Don’t use it as such. Engage with people often and with intention. You can rest and recoup later. Plus, it will give you something to think about! 7) be who you are. If you need a break from people, don’t apologize, disappear.Introverts by make-up can only handle so much interaction. When you need a break, take it. Extroverts, on the other hand, can only take so much alone time. Whenever they have been solo for too many house, they need to find people and find them fast! Neither tendency is wrong, but both must be managed honestly and intentionally. These are my thoughts on excelling as an introvert in ministry. If you are introverted, I hope it makes you think. If you know (or live with) an introvert, I hope it gives you some insight. Podium Cue is an iPad app that helps speakers organize their main points for effective presentations. Designed by Pastor Ron Hudson (@ronhudson) for just this purpose, I have found the app to be very useful. If you do public speaking of any kind – especially preaching – this may be the app for you. The app is designed to use “big picture” thoughts, not detailed paragraphs. In fact, you can’t put a lot of words on each “slide”. If you need your entire sermon or speech in front of you, this isn’t for you. Some speakers (myself included) actually speak better without a manuscript in front of us. We work to know the material well, and only need road “markers” to guide us to our final destination. By not being tempted to “read” from the manuscript, we speak more from the heart in the moment. For a preacher, this is a powerful opportunity for God to move through you. If you are like me, you highlight or bold or mark the next point you want to make on your page of notes. And if you’re like me, sometimes during your speaking, you have to scan, re-scan, and scan again to finally find that next point. It’s just hard to do sometimes. That’s one more thing for you to worry about, as if public speaking isn’t challenging enough. Podium Cue eliminates all of this “searching” while giving a speech. I unashamedly acknowledge that I love this app because it’s cool. But it’s cool because it’s simple, goes wherever I do, and takes less effort than a notebook or multiple printed pages might. In short, it solves a common problem in an up-to-date, simple way. It will make your speeches, and therefore your life, much simpler. I use Podium Cue now whenever I speak. It has replaced my highlighted Microsoft Word document (including an electronic version). I highly recommend my readers check it out. Question: What technology do you use when speaking? Leave a comment!